Privacy-seekers & Nature lovers: RUN to checkout this amazing property! Four parcels (including the 4-bedroom home with fenced back yard) are being sold together totaling approx. 45 acres. Whether it's peace and serenity you are seeking or the opportunity to live in this home while you build your dream home, this opportunity may be the one for YOU! 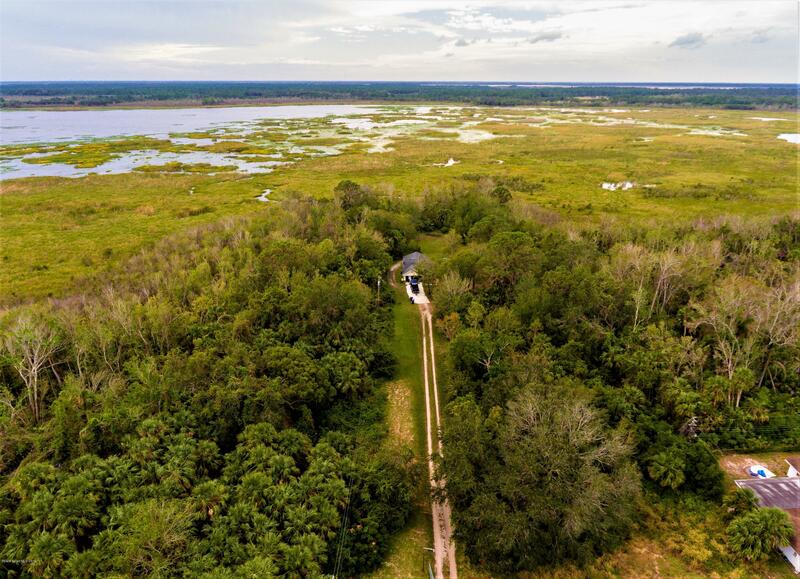 The land is lake-front property with beautiful natural wetlands that adjoin South Lake in Titusville. Create your own walking/nature/riding trails while never having to leave your own property. The home is centrally located on the parcels. NEW paint, NEW mulch, NEW carpets, Titusville is undergoing amazing redevelopment - Grab your slice of heaven at a fantastic price - while you can!